Recovering from an injury or pain starts with identifying the solutions available in the Irvine area. Our Irvine chiropractors at the Dr. Gary Martin, Irvine Chiropractor Center use tools like a low-level or cold laser treatment to help with certain types of discomforts and injuries. Recognizing when to use the solution helps you determine an appropriate course of action for your goals. 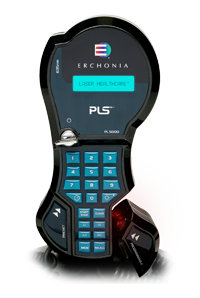 Cold laser therapy refers to a type of treatment designed to address musculoskeletal conditions and skin conditions. It uses a low level laser or infrared heat to encourage the body to heal from different types of injuries. Since the laser does not create the burning sensation associated with other treatments, professionals consider it a cold laser. It penetrates the surface of the skin and encourages natural healing without taking unnecessary risks with your health or causing injuries to your skin. Using the therapy as part of a long-term solution allows individuals to address the underlying cause of the discomfort. At our clinic, we use cold lasers to help stabilize your cells and encourage natural healing through improved function and blood flow. The treatment focuses on addressing the underlying causes of discomfort. Our chiropractors at Dr. Gary Martin, Irvine Chiropractor Center in Irvine evaluate the severity of your injuries and discomfort and then develop an effective treatment strategy based on your needs. How Long is a Cold Laser Therapy Session? When our Irvine chiropractors identify a condition or an injury requiring cold laser treatments, they recommend solutions based on your situation. Generally, a single session is a few minutes long. Some treatments may only require two minutes of laser therapy while other sources of discomfort may require ten minutes of treatment. Most treatments take only a few minutes to start encouraging your body to heal. The number of sessions required for the treatment process depends on your body and the severity of the underlying injury or condition. Some injuries or conditions may only require five or six sessions before you notice a significant change. Other conditions may require up to 15 sessions or more before the body fully heals.